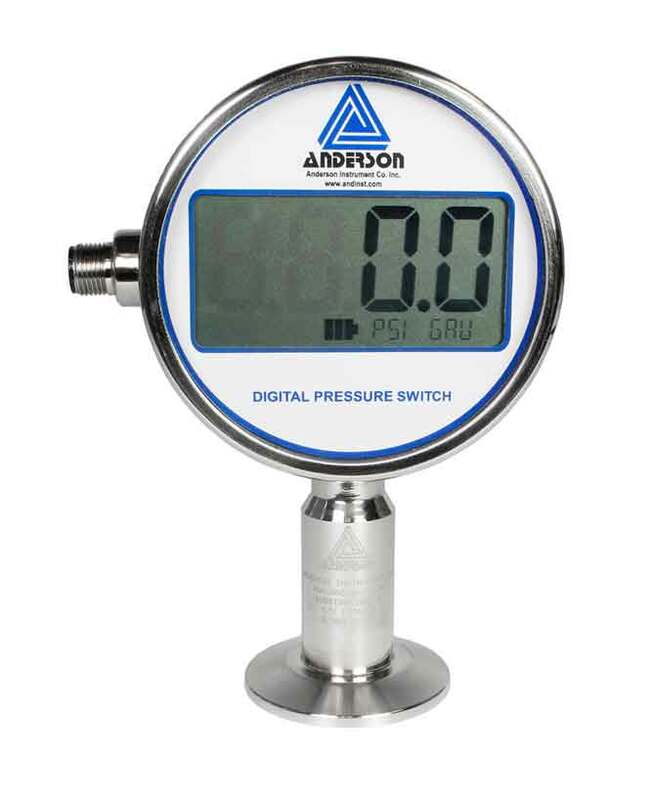 The Anderson EN Digital Pressure Gauge is designed specifically for monitoring critical pressure applications in the Food, Beverage, and Dairy Industries. The product line was developed to address customer requirements for improved performance, safety, and readability of pressure indicators. The Anderson Digital Pressure Gauge provides a battery-powered, local display of pressure that is 6 times more accurate than its mechanical counter-part. Additionally, this product has 3 times the over-range capacity and 5-10 times the resolution of traditional mechanical pressure indicators. The switch version includes 2 fully adjustable switches with low-voltage relay outputs for simple control and/or alarming applications.